20 year-old Andrew Wiggins proves he’s just getting started as he has been named NBA’s Rookie of the Year last season. As if being the first player in the Minnesota franchise to ever win such award isn’t impressive enough, the versatile forward continues to lead the Timberwolves with his remarkable performance on the court. 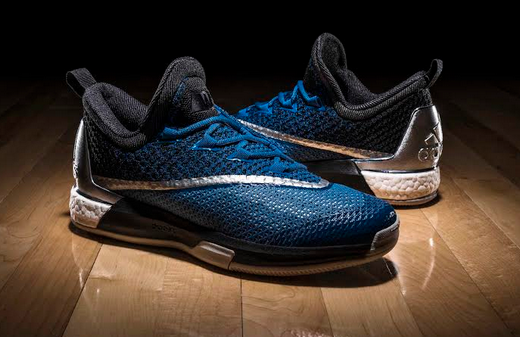 adidas and Andrew Wiggins release new Crazylight Boost 2.5 colorways. Each colorway is uniquely designed to exhibit Wiggins’ family history, and his on-court play with Minnesota Timberwolves. The “Marita” is Wiggins’ first silhouette dedicated to his mother, Marita Payne-Wiggins, and her success as an Olympic sprinter who helped Canada win two silver medals in the 4x100 and 4x400-meter relays in the 1984 Summer Games. They feature a silver to red gradient upper, blending Primeknit threads with forefoot mesh to deliver added breathability on the hardwood. Silver accents along the midsole, heel cap, collar lining and laces are paired with a red and white outsole for a true Canadian tribute. Gold hits to the upper’s foil treated seam and AW logo cap off the hometown exclusive. Calling on Minnesota’s state motto – L'Etoile du Nord or The Star of the North – Wiggins’ “North Star” PE is constructed with a metallic heel counter and silver detailing. Designed in team colors, the shoe features a black and blue Primeknit upper with seamless integration of mesh tooling and deep blue accents throughout. “Marita” and “North Star” colorways are available for 7,995 Php at select adidas stores, the adidas online shop, the NBA Store, Planet Sports, Toby’s Sports, and Titan stores in the country. 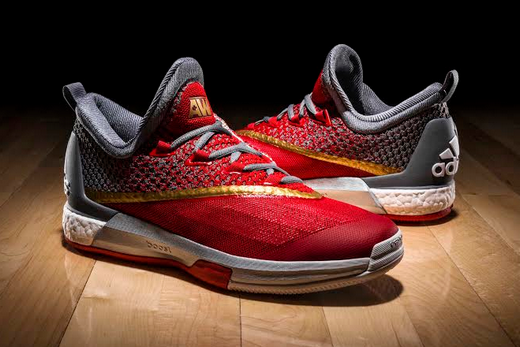 Join the conversation @adidashoops on Twitter and Instagram with #CrazylightBoost.